Step 1: Prepare your bucket list and set your travel goals. Do you have a travel Bucket List? If not, start a Pinterest Vision Board and pin your favorite travel ideas from the Internet. That will give you some ideas of where to go. If you already have such a list, so some additional work on it. I use an accordion-style folder and then add individual file folders inside. My Bucket List folders have expanded into an entire desk drawer over the years. You could divide your own list by national and international, long-term travel vs. vacation, must-do vs. nice-to-do, immediate and later, or simply year by year. You can use this same goal-setting process to achieve your personal or family travel goals. For example, we added “Central Asia” to our Bucket List after we’d completed our world circumnavigation and wanted to travel to landlocked areas yachts and cruise ships couldn’t reach. About four years ago when traveling in Myanmar (Burma) we met a couple from New York who had been there. They recommended Uzbekistan because they had used a travel agent who had grown up there. We contacted her and set a measurable goal to go there in two years. That goal was achievable but not realistic because it was not the right time of year and we had time-based family obligations. We changed the plan to four years, and voilà! we will make that trip in April of this year. Step 2: Decide where to go and make your travel plan. Decisions are never easy. And sometimes you can be overwhelmed by so many choices that the year goes by and you realized you haven’t gone at all. Think of it this way. Yes, there are so many places left to see, but you do not have to do it all at one time. So simply decide how long you can be gone and then block off that time on your calendar. Select a trip that fits your timetable and budget. If you don’t travel often, start small and stay close until you’re comfortable with longer trips. If you’re not comfortable traveling alone, go with a group or with a friend who knows the ropes. What is holding you back? Bring that Thing out of the closet and examine it. Can you go anyway? If that Thing is money, think about what you can give up to make it happen. Going out for dinner? Going to theaters when you could get a subscription to Netflix and pop your own corn? Do you really need that new car, new sofa, new bike, new…? Remember, “Travel is the only thing you buy that makes you richer.” (see my last blog). If you decide not to travel, it’s because you don’t value it enough. Step 3: Research your chosen destination. This is the fun part. Do take the time to look through travel brochures and tag the specifics you want to see. Explore alternatives before you choose what you want. Research on-line comments about day tours and hotels, keeping in mind that complainers are more vocal than “happy campers.” Learn from the mistakes of others but stay optimistic and excited about the places you’ve chosen to visit. Buy guide books, travelogues, and history books and read, read, read. Watch movies and documentaries about your chosen destination. Immerse yourself into the customs and cultures of locals. Right now, I’m buried in the romance of the Silk Road. My head is bursting with blue-domed cities filled with gorgeous blue tiles, remote yurts (yes, one night will be a yurt-stay), and colorful bazaars. I’m ensnared in the clutches of Samarkand, founded in the 5th century BC. In 329 BC, the walled city was taken by Alexander the Great who said, “Everything I have heard about Marakanda (Samarkand) is true, except that it is more beautiful than I ever imagined.” This strategic city sat on the crossroads leading to China, India, and Persia. 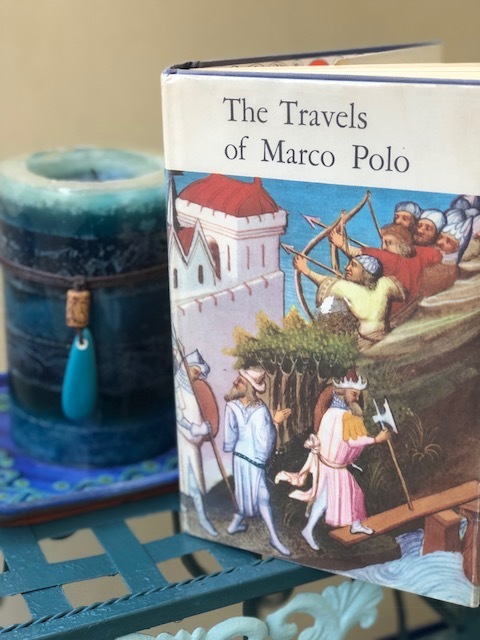 In Bukhara, two thousand years old, I want to bury myself into Marco Polo’s world, so I’m reading The Travels of Marco Polo, an illustrated classic about his excursions from 1271-1295. In Tashkent, the capital, I want to see for myself a city destroyed by Genghis Khan in 1219 and rebuilt to become a prominent center of scholarship, commerce, and trade along the Silk Road. Altogether, I want to take on what has been called “the glorious weight of history” by understanding the customs and culture of just one country: Uzbekistan. 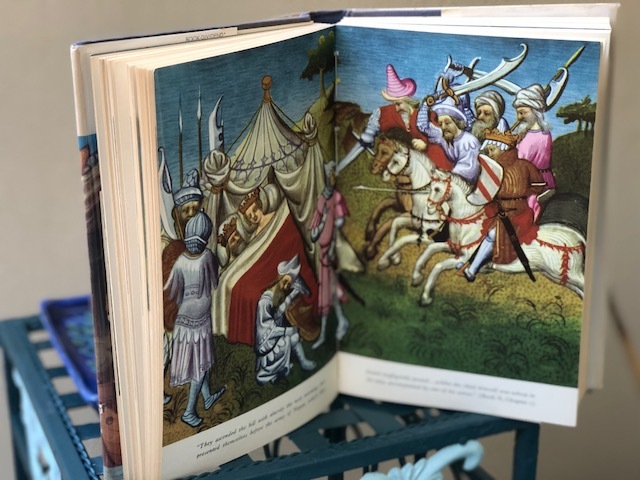 Instead of sailing in the wake of ancient explorers, such as Cook and Zheng Ho, I’ll be traveling the sandprints of some of history’s greatest travelers and invaders. What type of travel do you prefer? At our ages, Gunter and I opt out of group tours whenever we can. We prefer independent travel. We generally go through a travel agent who helps us plan our unique itinerary; sets up inter-country flights, trains, and cars; and books with a local guide. We also prefer “slow travel.” We choose a relaxed itinerary that includes time for leisurely breakfasts, “walking a village” (by ourselves, if permissible), and an extra day or two near the end for me to catch up on my journaling and posting before we head back. Step 4: Make a commitment. Those who achieve their dreams go out and do what others dream of doing. So, get out of your little bubble of existence today before you dig so deep into that comfort zone that you become mired and cannot claw yourself out. “Some people live in a dream world and others face reality and then there are those who turn one into the other.” –Douglas Everet. Lois and Günter Hofmann lived their dream by having a 43-foot ocean-going catamaran built for them in the south of France and sailing around the world. Learn more about their travel adventures by reading this nautical adventure trilogy, now on sale at a reduced price for a limited time.